Chris Holtmann was honest after Ohio State’s win against The Citadel Tuesday night. It didn’t mean much of anything. Especially not with the reigning national champion No. 5 North Carolina Tar Heels next on the schedule. 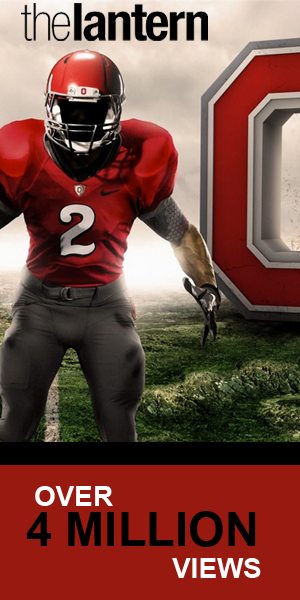 The Buckeyes are 10-3, ranked No. 46 in KenPom as of Tuesday night and actually might have a shot of pulling off an upset that few thought was possible at the beginning of the year, when disarray and uncertainty flooded the halls of the Schottenstein Center. But to the surprise of many, Ohio State has played solid basketball this season. 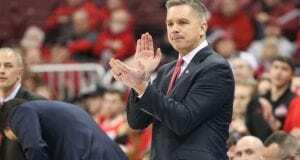 Sure, there have been spurts of inconsistency, but in the big picture, Holtmann has maneuvered through the majority of the nonconference schedule with no bad losses on its NCAA Tournament resume and won two could-be pivotal conference games — at Wisconsin and home against Michigan. If there’s one area that Holtmann has yet to impress the college basketball landscape in, its his team’s record against teams currently inside the KenPom top 50. It sits at 1-2, including a 27-point loss to No. 12 Gonzaga at the PK80 in Portland. 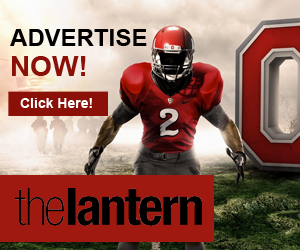 The one chance Ohio State has had to step into the ring with the heavyweights, it faltered mightily. It has a chance at redemption Saturday at 1:30 p.m. in New Orleans. 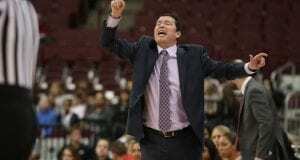 The Buckeyes were just four games into the season when it squared off with Gonzaga. 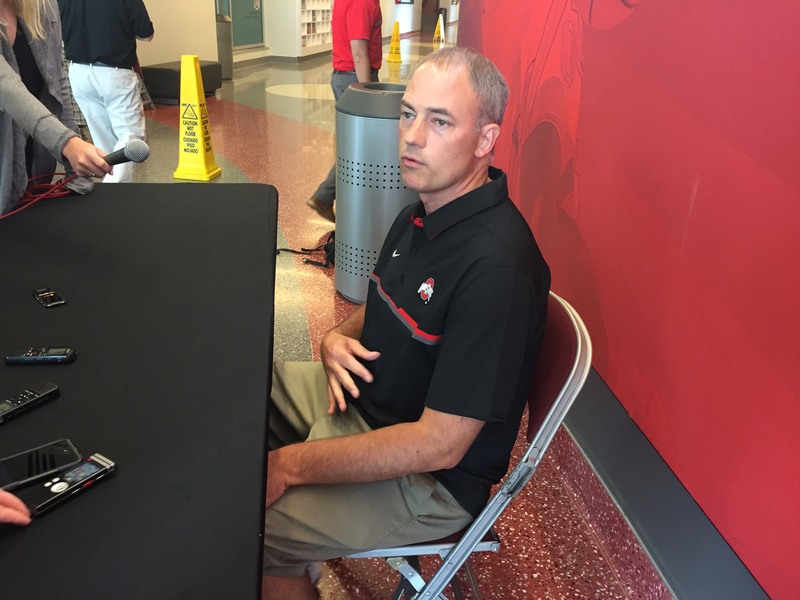 No one knew much about what type of team the Buckeyes were, including Holtmann and his first-year staff. 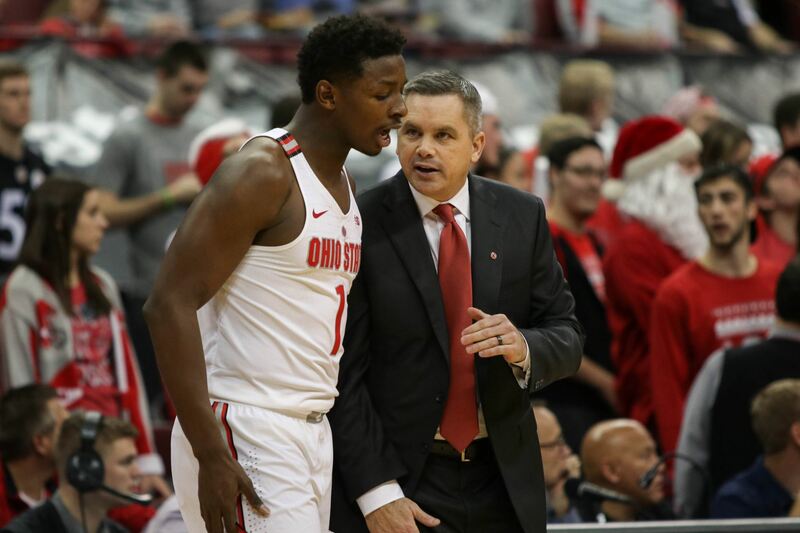 “We got off to a 4-0 start and got really humbled out in Portland our first game, by just a team that’s flat-out better,” Holtmann said Tuesday. That game meant Ohio State couldn’t hang with the blue-bloods. At least for the moment it couldn’t. 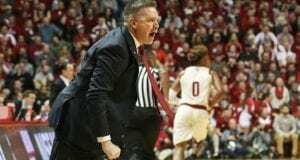 Since then, Holtmann has seen his team grow into one that can make stops when it has to, come back from 20-point deficits, but also blow double-digit leads. After losing to Gonzaga in the PK80 Invitational, Ohio State won 79-71 against Stanford. However, two days later, it blew a 15-point lead late and lost in overtime 67-66 to Butler, KenPom’s No. 53 team. The last loss the Buckeyes had was a 14-point loss to Clemson on Nov. 29, which doesn’t look as bad now, given Clemson’s 10-1 record with a win at Florida — a team that beat Gonzaga at the PK80. 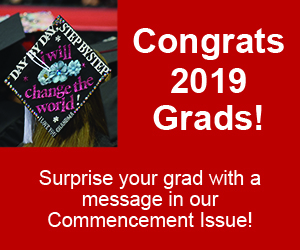 Ohio State responded from that game by handing the Wisconsin Badgers their largest loss in the history of the Kohl Center, and beat a Michigan team that has since beaten UCLA and Texas. Game No. 5 was a complete mismatch versus a team Ohio State wasn’t ready for. Game No. 14 is another blue-blood that Holtmann hopes his team is ready for by now. Ohio State rolled with a young lineup Tuesday night for a solid majority of the game. Andrew Dakich, Kam Williams, Musa Jallow or Andre Wesson, Kyle Young and Micah Potter were on the court for several minutes together, which Holtmann said happened because of the flow of the game. Adding to that, seeing Young and Potter, specifically, play extended minutes was encouraging, for the two are coming off ankle injuries. Young played 13 minutes in his return Saturday against Appalachian State and Potter played just one minute. Tuesday, Potter played 19 minutes and Young played 12. Moving forward, depth is going to be a key factor in Ohio State’s ability to keep top scorers Keita Bates-Diop and Jae’Sean Tate fresh in moments late in the second half when they’re needed most. Former Ohio State point guard JaQuan Lyle quit the team back in April, and later transferred to New Mexico where he has to sit out a season, per NCAA transfer rules. Adam Jardy of the Columbus Dispatch interviewed Lyle at halftime, who said he left Ohio State because he didn’t have trust in the prior coaching staff.